If you are hosting a fall or Thanksgiving party, of course you are puzzling over decorating the table, and one of the main things for the setup will be a tablecloth or table runner and napkins. Table linens help creating an ambience and a fall feel, they are indispensable for every tablescape. 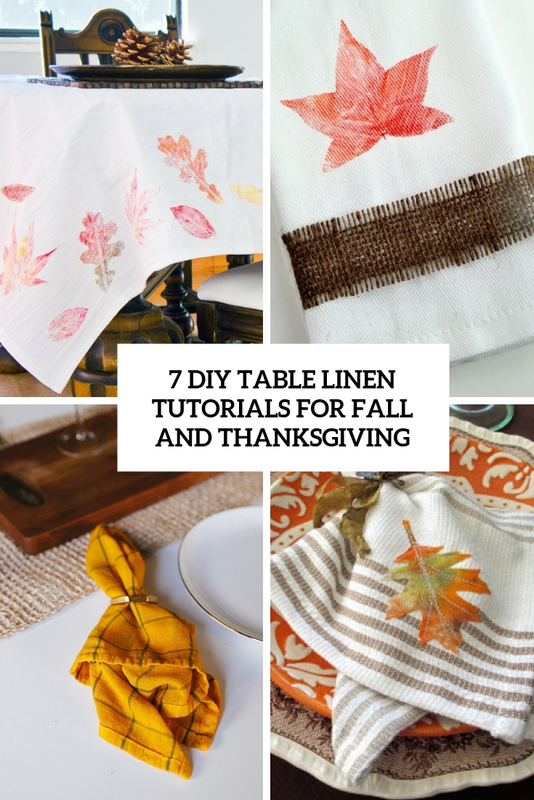 I’ve gathered some cool tutorials for making table linens for the fall, you’ll find runners, napkins and tablecloths here, read up! 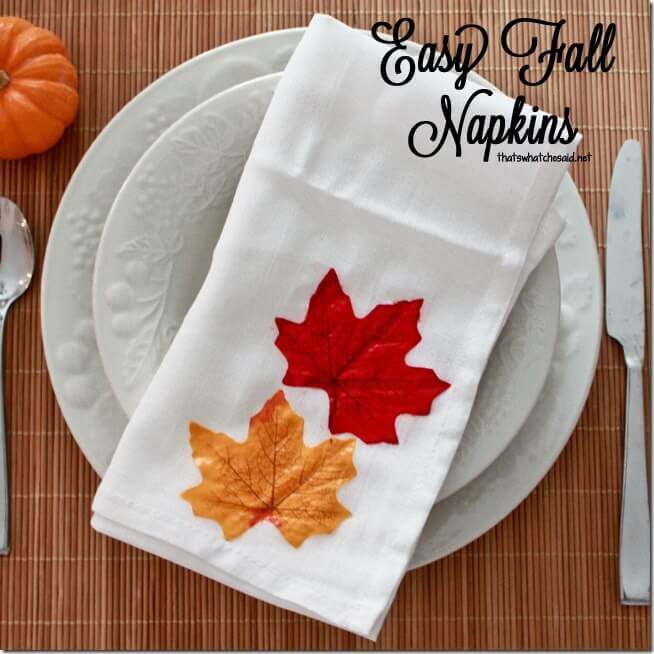 These fall napkins are so easy and so inexpensive you will love it! These are napkins with fake fall leaves decoupaged – they look very bold and very natural bringing a cozy fall feel to the table setting. Let dry and then you are set for your Thanksgiving table with these adorable fall napkins that you’ve made for next to nothing! Creating handmade projects is a great way to add unique touches to your home, especially if we are talking of party decor – show something special to your guests! 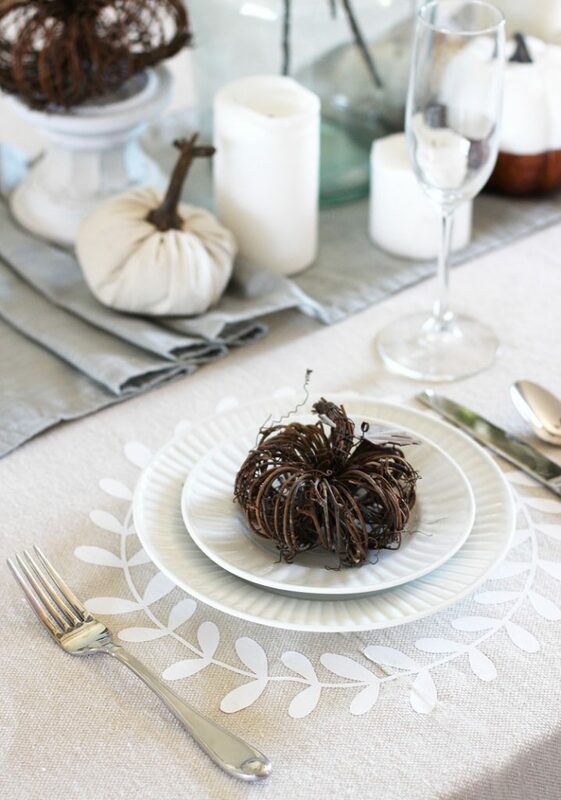 Here’s a lovely fall napkin project that takes a simple cloth napkin into a centerpiece fall table settings. These are cool fall leaf applique napkins with bold colors of the fall, read how to make them and spruce up your tablescape! Here’s a simple and very bright fall napkin project to spruce up your tablescape as much as possible and bring a fall feel in. 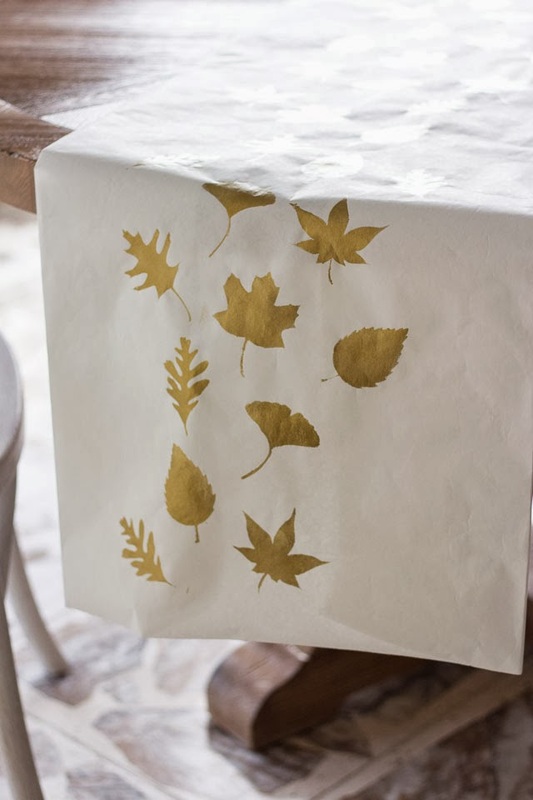 The napkins are very easy to make: you just take the real leaves and use them for printing on the napkins, the brighter the fabric is, the cooler the napkins will be. don’t forget to take fabric paints as others won’t stick or won’t last long. Read the tutorial to find out how to do that all! 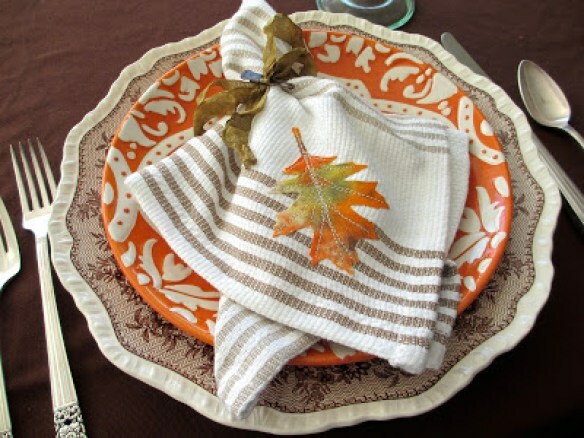 This bright fall napkin project is using overdying, it’s such a great way to mix pattern and color. For an easy way to give your holiday tablescape a quick refresh, try overdying an old set of napkins for a whole new look in half an hour. Read the full tutorial in the source and make your table setting brighter and more interesting with these bold fall cuties! 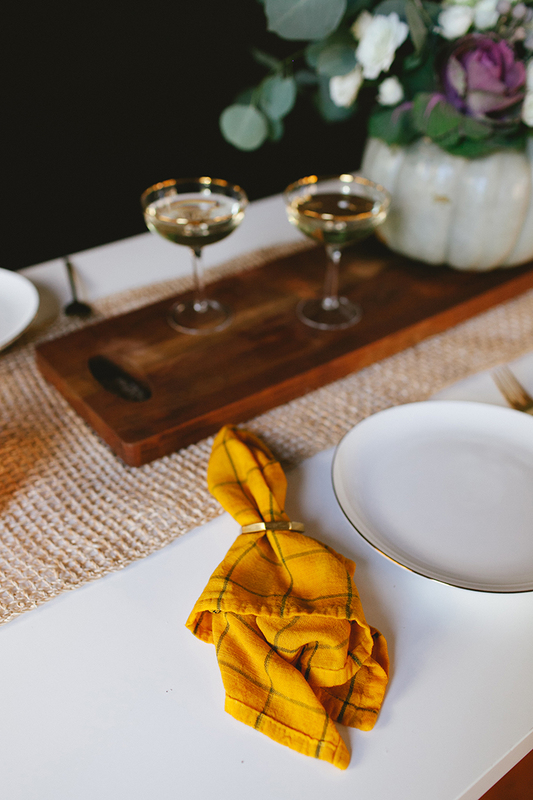 Cute Thanksgiving decorations are hard to find in stores, so you can make a DIY Thanksgiving tablecloth to fit with your neutral Thanksgiving table decor. This is a personalized tablecloth for Thanksgiving using iron-on craft vinyl and a canvas drop cloth – not so hard, yet the result is wow! Besides the idea stated in the tutorial, you may add each person’s name to the tablecloth. Or write a Thanksgiving phrase around the edges of the table. Or make birds-eye-view graphics of all your favorite Thanksgiving foods, that would be adorable! There are so many fun ways you could personalize a tablecloth for Thanksgiving, choose yours and realize it! 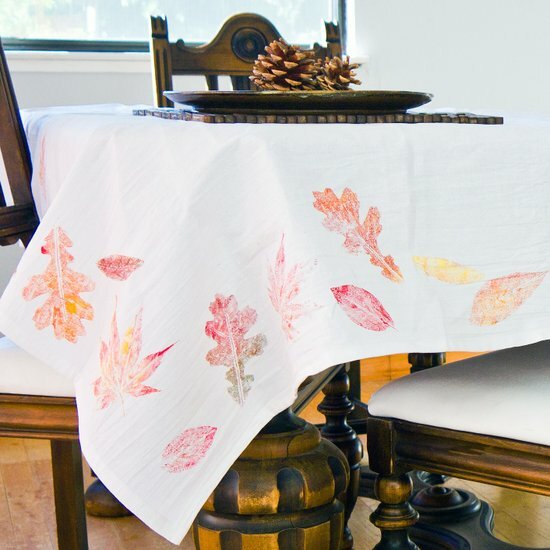 Invite your holiday guests to the table with a handmade tablecloth that’s so simple to pull off. Along with being quick and easy, this Fall tablecloth costs less than $10 to make. No need to be crafty, the project only has a few steps and is ready to top your table in minutes. Here’s a last minute DIY project for you to try out this weekend! This latest runner uses a roll of butcher paper, some leaf stencils, and gold craft paint, very simple and looks pretty cute. One more idea – for a super quick Thanksgiving runner, just leave the butcher paper blank and leave out markers for your guests to write down what they are thankful for!